It’s frustrating being a fitness expert sometimes. Every day, you have to endure a seemingly endless string of nutrition and fitness myths being spouted by clients, other trainers at the gym, and all over the Internet. It sometimes feels like you’re putting out fires. It’s even worse when those nutrition myths are promoted by supposedly reputable sources. Are you familiar with the term “healthwashing”? If you’re not, I’m going to explain it to you, but first, let me tell you a story. It was August 2012 and I was sitting in Logan airport in Boston waiting for my plane to take me back home to Toronto. I was in pretty bad shape. I’m kind of embarrassed to admit that I was quite hungover from the previous night’s festivities. I’d flown in for my good friend Dave’s bachelor party, and it was a crazy night. It was just a few hours later and I looked worse for wear, and I certainly felt it. I’d already been through the worst of my hangover. I’d nursed it that morning with plenty of coconut water and a banana, and now I was ready for something a little more substantial. I felt like I could handle some actual food in my stomach without getting sick, and I knew exactly what I wanted. It was weird, because I really don’t eat yogurt that often, but I guess my hungover body was craving it for some reason. I scoured the airport for yogurt—or anything relatively healthy that I could eat—and I kept coming up short. It felt pointless. After a long search, I finally found some. Delighted, I grabbed it off the shelf, only for disappointment to settle in really quickly when I looked at the label: this was “0% fat” yogurt. For far too many people, this would be a reason to celebrate. After all, 0% fat yogurt is much healthier than regular yogurt, right? Sadly, the answer is no. This type of yogurt is loaded with sucralose and other chemicals to make it palatable, but the uninformed public doesn’t realize all that stuff is bad for you; most of us are unwitting slaves to the low-fat fad that I now knew was about to take off like never before. Once again, the crime of healthwashing had reared its ugly head. It’s part of my mission to share the absolute best nutrition tips with you, but sometimes that means debunking the tips and advice you get from other sources. Let’s take a look at some of the most egregious nutrition myths you need to know the truth about right away. Essentially, healthwashing is pretty much brainwashing, only it applies to fads and nutrition myths in the realms of fitness and nutrition. 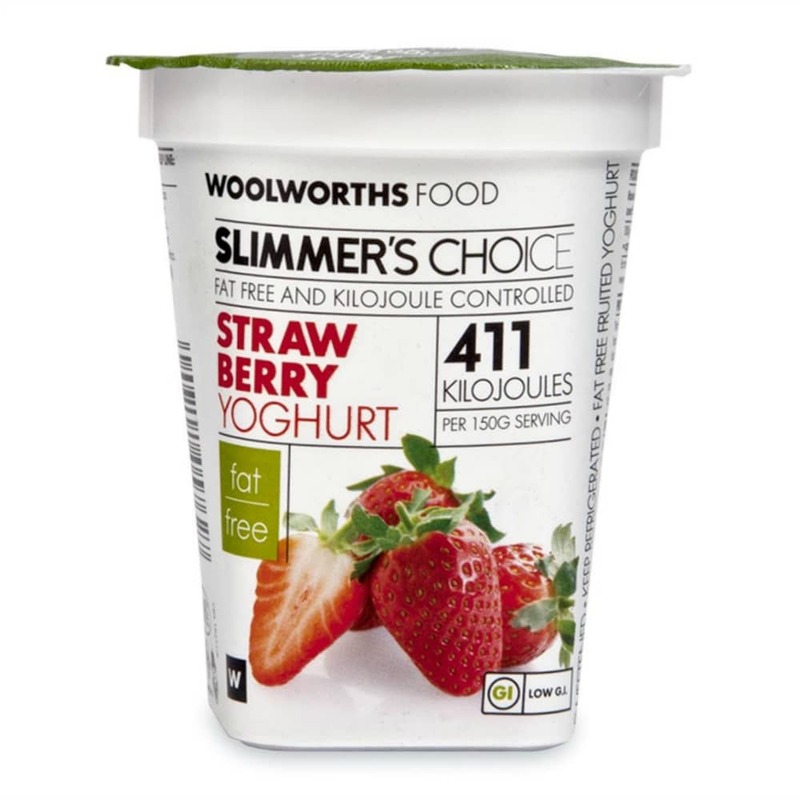 There are fewer better examples of this than the low fat craze that made that 0% fat yogurt such a hot item in 2012, and which has made it remain one even until now. Scarily, it’s almost as if full fat yogurt doesn’t even exist. Thankfully, it does, but you really have to search far and wide. Chances are it isn’t in your local supermarket or Starbucks; if you’re lucky your local health food store might have some. It begs the question: why is everyone so afraid of fat? The short version is that one flawed study conducted by noted food scientist Ancel Keys almost 50 years ago created one of the biggest nutrition myths ever that scared our entire medical and food industry into believing that fats and cholesterol were the major culprits of heart disease. Several years later, these ideas were adopted as gospel and the rest is history. The 1980s saw an enormous surge in low-fat foods. Ironically, our rates of obesity and diabetes continued to climb and little improvement was seen in heart disease. So why has the “low fat” craze continued to thrive? When the medical community, food industry, and popular media continually tell you that fat is evil, eventually most people take that at face value. Never mind the fact that hundreds of studies have shown otherwise; popular opinion still views fat as severely unhealthy. You can also add full-fat milk to that list. However, I’ll share my thoughts about milk and dairy in the second section of this article below. The same thing goes for eggs. Stand in line at an omelet station at your next breakfast buffet and you’ll surely hear some “health conscious” person asking for an egg white only omelet. Why? It’s because of the healthwashed belief that yolk contains bad cholesterol, which is very unhealthy for us. It clogs your arteries and puts your at risk for heart disease, right? There is little evidence that cholesterol in our food impacts our blood cholesterol levels. (1) Cholesterol simply acts a band-aid, repairing damage inside our blood vessels caused by inflammation and free radicals. What’s worse, this damage is generally the result of a high-sugar diet. Not egg yolk and cholesterol, but sugar! Obviously, there are bad fats, just as there a good, healthy ones. However, there is no good sugar. Sugar and its artificial substitutes are fattening our waistlines, increasing our blood triglycerides, ruining our blood sugars and robbing our health more than any other food substance. And yet, fat and cholesterol are constantly blamed as the chief enemies to good health. It’s really disheartening. So the next time someone tells you that low-fat is the way to go, ask them why they continue to eat all that bread, pasta, and cereal. Remind them that the majority of your brain and nervous system are made up of fat. Furthermore, the membranes that surround the trillions of cells in your body are mainly comprised of fat and some cholesterol. We need fats, and to avoid the damage the bad ones can inflict, simply steer clear of rancid vegetable oils and focus on the healthy fats, butter and oils from olives, coconut, avocado, flax, hemp, and fish. Fat is essential. The right kind of fat is what’s most important. The topic of milk and dairy alone could be discussed forever, but I’m going to keep things simple and ask you to watch the following video I shot a few years ago concerning The Milk Myth: 9 Dangerous Lies about Milk You Need to Know. When you see this kind of nonsense being published in major magazines, it’s easy to see how so many people have been brainwashed into drinking milk for strong bones. It’s another example of healthwashing nutrition myths at their worst. You didn’t! Are you crazy? It’s crazy because breakfast is the most important meal of the day, right? In fact, if you don’t eat first thing in the morning, your body will start holding onto more fat. What’s more, if you want to lose weight, you should be eating 3-5 small meals throughout the day to keep your metabolism “revved up”. Otherwise, your body will plunge into starvation mode and your body will hold onto fat. We’ve all been healthwashed from the time we were born. There are so many baseless nutrition myths out there—margarine is better than butter; low-fat is better for your health; aspartame is better than sugar; egg yolks are bad; milk is necessary for strong bones—and the unfortunate thing about them is that the food industry capitalizes on our collective ignorance every step of the way. I want you to always remember the source of this information. Everyone has an agenda, even me. 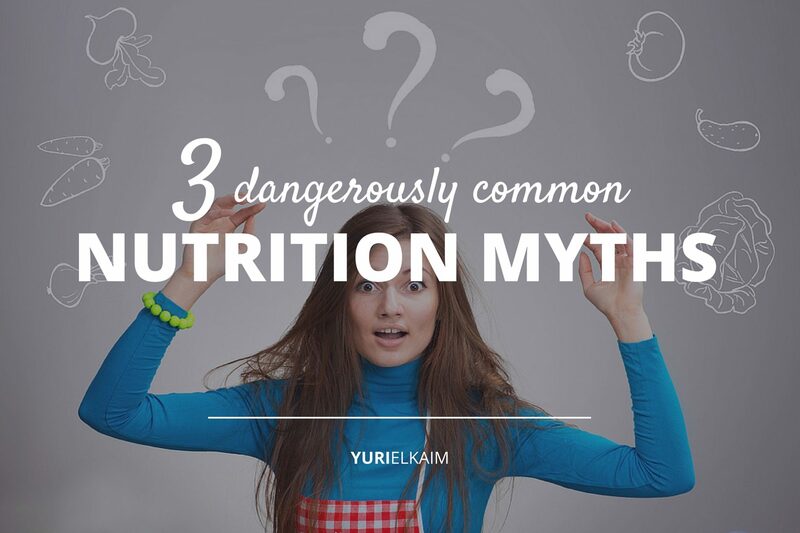 Did you enjoy this article on the 3 Common Nutrition Myths Jeopardizing Your Health? You might also like my “All-Day Energy Diet” Community Cookbook. To get 67 quick and delicious recipes that help you look and feel years younger – for FREE – click the banner below.